Without annual inspection, debris and dirt can accumulate inside of your air conditioning system. The broken down debris can then be spread into the air of your home when you use you turn on your air conditioning. This can also cause your unit to run much less efficiently, and can cause backups that could lead to costly repairs. The best way to prevent this from happening: call the professionals at Pro-Tech to perform annual maintenance on your AC unit. Pro-Tech’s expert technicians provide a wide range of services for AC units including installation, repair and general maintenance. If you want your air conditioning unit to run smoothly and efficiently for years to come, then Pro-Tech remains your best choice for keeping it up to par. 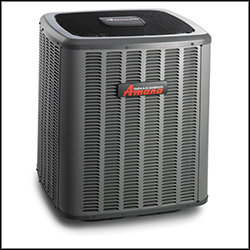 We only use top-quality brands with proven track records in the industry, such as Amana, Aprilaire, and Daikin. Simple cleaning, lubrication, and inspection can lower your energy bills and extend the lifespan of your unit. For high quality service from HVAC professionals, Pro-Tech is Grand Rapids’ finest. For more information about air conditioning services from Pro-Tech Heating & Cooling, please contact us here or call us directly at 616.453.5000.